Found one file extension association related to particleView and 1 file format developed specifically for use with particleView. 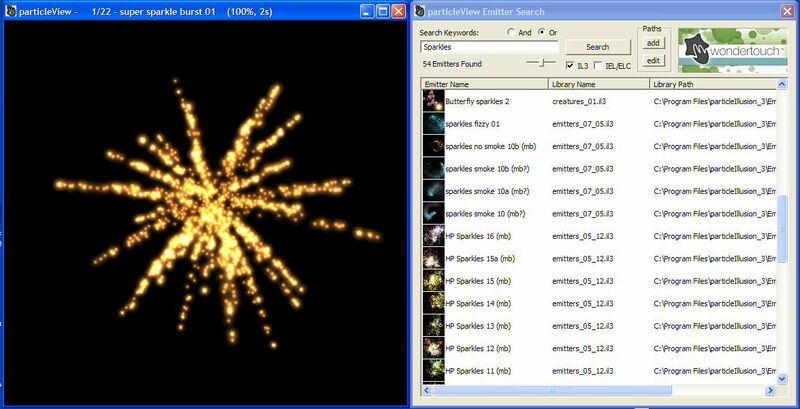 particleView (previously called "ShowIEL") is a free utility that allows you to view particle Illusion effects. With the new version you can now load any particle Illusion emitter library, including the ELC libraries created in Combustion. If you need more information please contact the developers of particleView (wondertouch, LLC), or check out their product website.